Plastic Folding Bulk Containers are made of high-density polyethylene plastic for long lasting durability. Features a folding design for easy storage and portability.These pallet containers are build collapsible to maximize available storage space and minimize return shipment costs. Bulk containers are available in light-duty, medium-duty and heavy-duty designs to meet a wide range of application requirements. 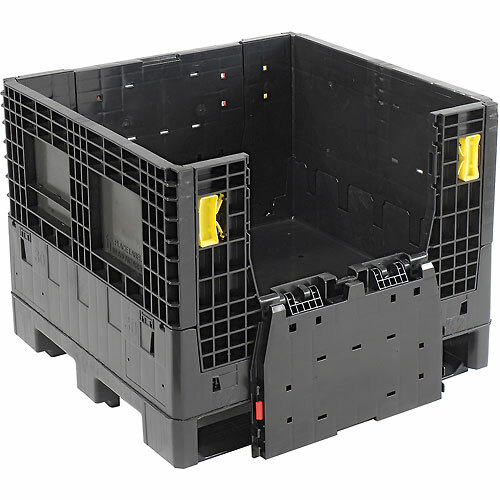 These pallet containers offer the strength and rugged durability demanded in today’s material handling and distribution systems. Collapsible / foldable pallet boxes are very convenient and save on storage space when not in use, they can even be stacked upon each other when fully collapsed. 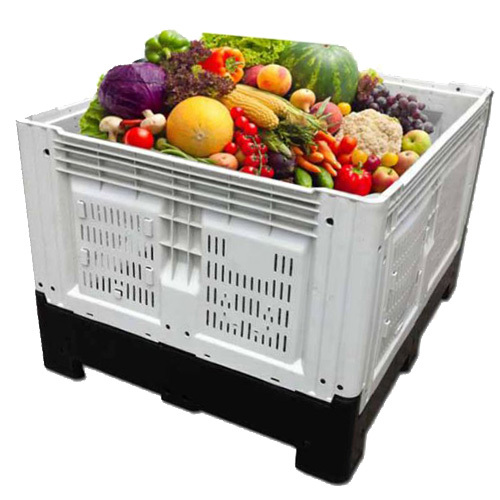 These strong pallet boxes meet CFIA and HACCP standards for food handling. The bulk storage boxes are suitable for any kind of handling or bulk storage needs. They are widely used in agriculture, food processing. we are a stackable bulk containers manufacturer and wholesale a range of bulk storage boxes,We aim to ensure you receive a higher level of customer service satisfaction along with the best quality products the Industry has to offer.If you can’t find what you are looking for then please contact us and we’ll be more than happy to help you.